Rich Hall, Garage, Glasgow. March 18 2017. 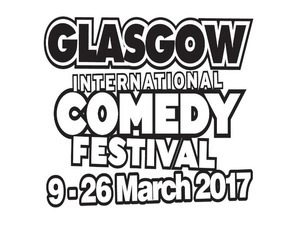 Glasgow International Comedy Festival rumbles along again. There is never any feeling of a "festival" going on with venues and acts scattered across the city, there is no hub or buzz about it. The Aye Write book festival is on at the same time, but centred at the Mitchell Library, when you are there you feel there is something happening. Despite that the comedy festival brings an impressive line up of acts each year, if you can stumble upon them. With the incomprehensible mess that is American President Trump, I decided to seek out a couple of American comedians to see if they could find humour in their situation. Greg Proops came to the attention of British audiences as a regular guest on the improvisation show Whose Line Is It Anyway? My kids know him as their least liked character in the whole Star Wars saga, Fode, a two-headed Troig ("I don't care what universe you're from, that's gotta hurt.") He now regularly records a popular podcast, which he recorded on the second of his two nights at Cottiers Theatre. His show was a game of two halves. The first half he appeared rather deflated, rattled off a few jokes about his previous times in Scotland. From brutal haircuts, mocking our tablet and Irn Bru, and the idea of having a whisky and cola, to the pointlessness of a Ferris wheel in George Square. But his concentration wandered; some stories were forgotten and punchlines were told back to front. The second half he came out with more energy, either because he started by ranting about the America's moronic president, or because he had a vodka and ice at hand. His exuberant faith in the abilities of Hillary Clinton, may have raised a few sceptical eyebrows, but it was women in general who he felt should be running the world. I'm not sure that out-of-towners get that saying Nicola Sturgeon seems to be doing a good job will cause most audiences to immediately split down the middle. Rich Hall made a similar comment vaguely supportive of Nicola Sturgeon's competency, and similarly got as many boos as cheers. I think it is a topic that requires a more nuanced approach to carry the whole audience with you. He gave us an hour of gags and stories, before coming back on stage with his band to give us a musical second half. His tales of his previous dealings in Scotland seemed a bit warmer and a bit more up to date, his anger at Donald Trump and his electorate a bit more visceral and a bit less despondent. As he said, the problem doing comedy about Trump is that three days later, his actions in the real world will be madder than any comedic invention. For his musical entertainment he battered out a series of songs about audience members he had been dealing with in the first half, quickly rattling off rhymes with their jobs and even a cheery ditty about Larkhall. He clearly has spent far too much time in small towns around Scotland as he managed to work Glenrothes, Hawick and Eccclefechan into his songs. His world-weary face brightened up when people requested a rendition of his Border Collie Song that he had created whilst filming a BBC4 documentary on country music, that had been on TV the night before (still available on BBC iPlayer until end of April). A Play, A Pie and A Pint. - Jocky Wilson Said.